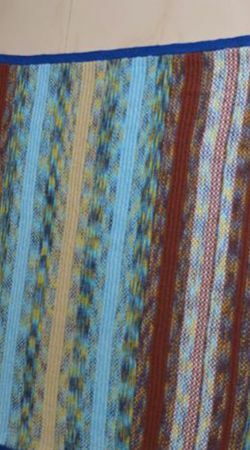 Blocks of colour, variegated and pure shades, have been combined in a modern interpretation of the log cabin motif. 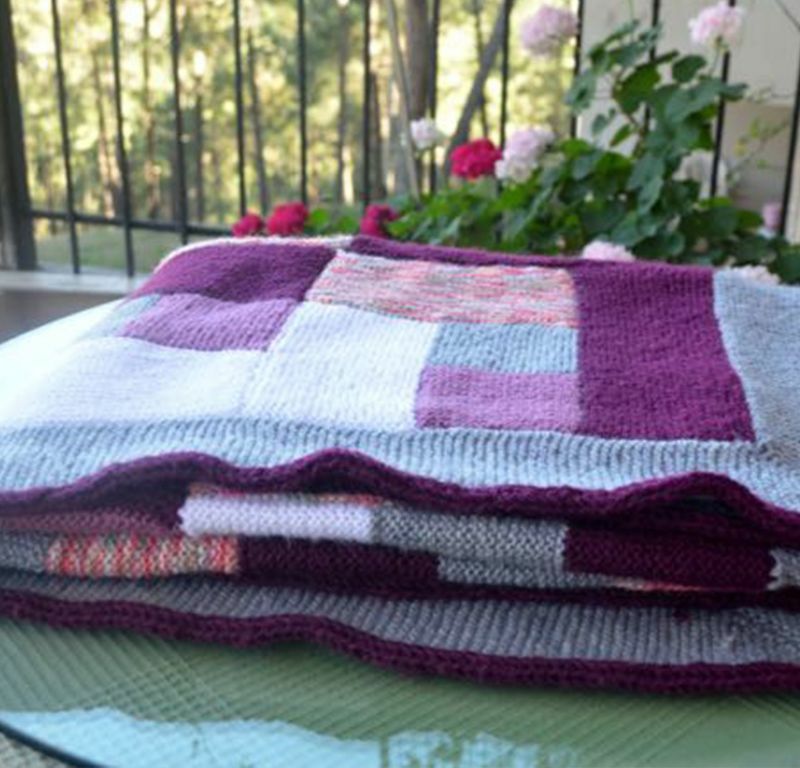 Warm, soft and easy-to-maintain, this throw sings out in shades of purple and brown to bring energy to your reading corner, TV couch or your favourite family place. 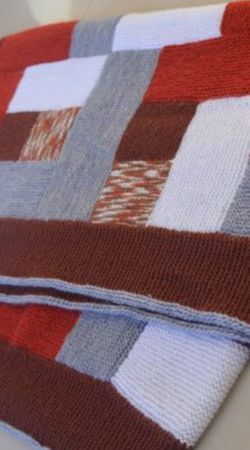 Use it to stay warm…use it to add colour and zing to your space….use it, wash it and use it again. Mauves, purple and some other shades which evoke melodies of that famous band, mix and merge into a smart and warm throw. 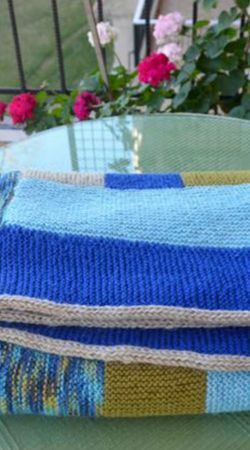 Created with perfect hand knitted fabric, bordered with a smart thin cord, this throw will warm up music lovers, book worms and sleepy souls. 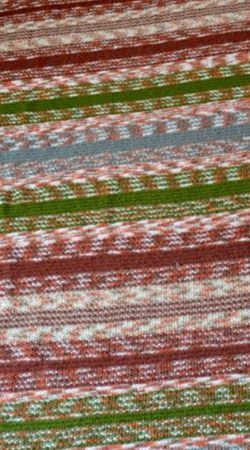 Use it for adding calm, drape it for soft warmth, cover the television couch and fold it into modular neatness. Inspired by the iconic log-cabin motif, beloved of quilters over the ages, this hand-knit composition of smart blocks will be a favourite winter addition to your home. Soft and warm, it will drape fluidly over comfortable couches, reclining and resting family members, book worms and potato couches. Hand knitted in hard -wearing, high quality yarn this comes into the category of easy maintenance stuff. Just a spin in the washing machine is enough to make it look new and bright and attractive. Enjoy the cosy warmth for many seasons, enjoy gifting it to lonely students, busy new mothers, ageing parents and everyone else in between.